We built RaceDay as a way to capture the enthusiasm and hard work of the athlete community. We generate individualized videos with our proprietary technology by stitching together clips of each participant from multiple places along the race course. As a timing company you can add participant videos to your current list of services. The additional effort required is minimal. With staff already at timing mats, all you would need to do is put a camera on a tri-pod, turn the camera on at the beginning of the race and take it down at the end of the event. Offering participant videos at your events creates unique differentiation from other events and a great way for participants to remember your event. In addition, the RaceDay platform could allow you to further monetize your events with video sponsors. Provides a platform for highly sophisticated targeted sport specific advertising campaigns that clearly align your brand and provide integrated custom content and brand messaging. As a participant you get a personalized video of our event you can share with others or just keep as a memory of your experience. 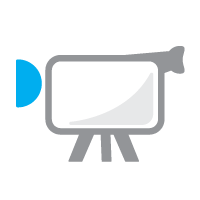 Ask your event organizer to add RaceDay Videos to your next event. Works with any timing system. Just upload the timing results. Professional or Prosumer grade cameras recommended. Works with any event where timing is involved.